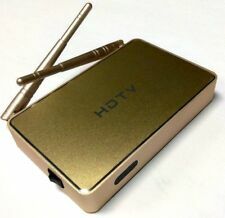 Newly Upgraded 2019 Gold IPTV Model. Extra Fast ! More Channels. This has a quad core with android 4.4. Lots of Arabic, Kurdish, Turkish and Indian channels, movies and sports. The 2019 Gold box has even more ! The Arabic IPTV Box is revolutionary internet streaming TV box WITH 1 YEAR WARRANTY. This IPTV box provides high quality images. This Receiver 1080p. This IPTV box supports 3D and Blu-Ray. 2019 iptv Box Android Smart Tv Box R69 H3 Set Top Box Android 7.1. IPTV TV Box is revolutionary internet streaming TV box. This IPTV box provides high quality images. This IPTV box supports 3D and Blu-Ray. 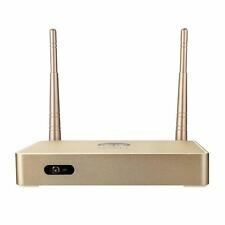 Km5 HD Android IPTV BOX 4k wifi Receiver without dish. الروبوت IPTV BOX وأي فأي استقبال بدون طبق. 30 day returns if you don't like it, we pay for return. Newly Upgraded 2019 Gold IPTV Model. Extra Fast ! More Channels. This has a quad core with android 4.4. Lots of Arabic, Kurdish, Turkish and Indian channels, movies and sports. The 2018 Gold box has even more ! Receiver is the latest generation of receivers based on Android 8.1 TV box 4K. Quad Core 2GB/16GB 2.4/5G Dual Wifi HDMI 2.0 Bluetooth 4.1. 150 Kurdish / TURKISH Channels. Experience the entire spectrum of Arabic TV programming as its happening with up-to-date news, popular shows, sports and more, with channels such as, alarabiya, MBC TV, sports, OSN, LBC and many more! 2018 Arabic TV Box. 400 Channels. 1 Arabic TV LIVE TV Box. 1 High Quality HDMI Cable. Two years of service included. What is in the Box. 1 IPTV box. Support wifi and ethernet cable,very easy to use,no need dish,no need cables,only need 4M or Above internet support. You can add channels to FAVORITE LIST,easy to find channels you like. 4 out of 5 stars - Great Bee Arabic TV IPTV Box 2019 Support 400+ Arabic Channels Free For Life! 8 product ratings8 product ratings - Great Bee Arabic TV IPTV Box 2019 Support 400+ Arabic Channels Free For Life! Model Number: Arabic TV Box. arabic channels: 300 channels. GPU: quad core. Quad Core CPU: support. Wireless: Yes. Other channels: 100 English,turkish,African,French. Internal Storage: 4GB eMMC. Support wire/wirelss: support. روعه ابتعد عن التقليد. اكثر من ٤٠٠ قناة عربية. 2019 Model of the Year. Aladdin Encore 64 4K is 2019 newest and latest generation of Internet TV receivers. Aladdin Encore 64 4K. ONLY FROM ALADDIN TV. If it isn't Aladdin why waste your money! With Arabic Channels. It is an IPTV subscription for SMART TV (SAMSUNG & LG), MAG25X, FIRESTICK, ANDROID BOX. WE DON'T PROVIDE URL OR M3U, WE WORK WITH THE MAC NUMBER FROM SMART IPTV APPLICATION WE WANT TO GIVE YOU STABLE SERVICE THE ENTIRE PERIOD. Receiver is the latest generation of receivers based on Android 7.1 TV box 4K / 6K. 200 Kurdish / TURKISH Channels. The unique technology we are the biggest and best Arabic product on the market. Experience the entire spectrum of Arabic TV programming as its happening with up-to-date news, popular shows, sports and more, with channels such as, alarabiya, MBC TV, sports, OSN, LBC and many more! 3-More good channels will be added in the nearest future. Ready to try one of these must- have products?. We will try our best to reduce the risk of the custom duties. and we will do our best to make you satisfied. 【More Convenient Operate】Pendoo TX3 Mini Android TV Box is connected through an HDMI cable to any TV with an HDMI port. Two USB port, connect with your mouse and keyboard to help you operate more convenient. Arabic iptv Box. Enjoy over 600 live Arabic HD Channels plus Video-on-Demand movies and TV shows. You can change channel with; Up & Down buttons, numbers 0 - 9 or use the channel list and press OK on the remote. 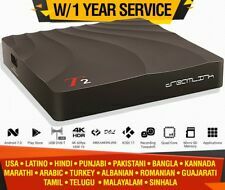 Arabic TV 2018 IPTV Box Support 400 Arabic Channels Free For Lifeجميع القنوات ا. Condition is New. Shipped with USPS Priority Mail. This IPTV box supports 3D and Blu-Ray. 2018 Arabic IPTV. This is the BEST QUALITY Arabic TV Box on market and is operated by an up-to-date technology and service compared to all other boxes that are listed online. Experience the entire spectrum of Arabic TV programming as its happening with up-to-date news, popular shows, sports and more, with channels such as, alarabiya, MBC TV, sports, OSN, LBC and many more! The Arabic IPTV TV Box is revolutionary internet streaming TV box. This IPTV box provides high quality images. This IPTV box supports 3D and Blu-Ray. (1x) IPTV Player. · This is the Best Arabic TV Receiver ever in the Market. 60 Kurdish / TURKISH Channels. Experience the entire spectrum of Arabic TV programming as its happening with up-to-date news, popular shows, sports and more, with channels such as, alarabiya, MBC TV, sports, OSN, LBC and many more! Stat Wifi speed required 100mbp mbp & more. Bestprice91INC does not stream any of the live IP channels, all channels are third party links available on the internet. We link you with the largest collection of online news, sports, Indian, Spanish etc IP channels any videos from all over the world, they are available online on the web. 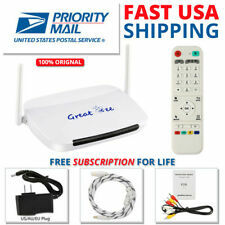 HD Arabic TV Box Android HD IPTV Box VOD 590+ Arabic channels Free For Life! Cutting the cord serves as a rallying cry for television watchers wishing to view programming via the internet rather than on cable television. IPTV watchers can also allow you to view programming from foreign countries. Anyone interested in checking out Arabic programs can do so with an IPTV box. How does streaming work after connecting a box? How many Arabic television channels can you access? Would-be viewers of foreign language programming must refer to the individual box manufacturer to determine the number of channels. An IPTV service with upwards of 400 available channels is a possibility. The choices cover a wide array of different options ranging from live sports to news to comedy and more. How high is the resolution on an IPTV stream? Consumers must refer to the descriptions on the individual Android IPTV boxes for the specific answer. A maximum resolution of 1080p won't be uncommon, and 1080p resolution refers to full high-definition (HD) video. With full HD, the picture quality appears sharp and matches an HDTV television output. What are the specific operating systems compatible with IPTV? Boxes on the market do work with all available operating systems. The most utilized operating systems are Windows and Android, and they work with many IPTV boxes. Other options are MAC OS and Linux. Of course, a box must match up with the appropriate operating system. An Android TV box works with the Android operating system and not Windows. You might also want to note that an internet protocol TV box comes with a set amount of internal storage. The amount could be 8GB, 16GB, 64GB, and more. The storage capacity allows for installing additional apps to expand usage beyond TV show watching. Web browsing remains another function on an IPTV box.